To continue celebrating the Year of the Dragon, why not help your child make a couple small paper lanterns, or 小灯笼 (xiǎo dēnglong)? To do so, cut an 8″ x 11″ sheet of colored construction paper in half, so you’d get two 8″ x ” 5.5″ sheets. Then fold each sheet in the middle so it’s half as wide and the same length as before. Use a pair of scissors to cut slits about 1″ apart, starting from the fold and ending about 1.5″ from the other side. 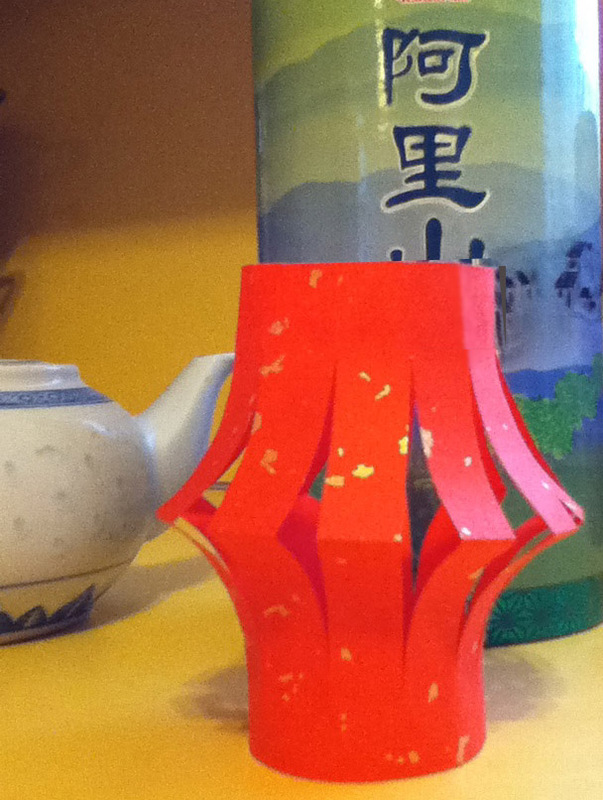 Open the fold then glue the narrow sides together, forming a lantern as shown in the photo. Now you are ready to welcome the Lantern Festival, which falls on Feb. 6 this year and marks the end of the Lunar New Year celebration.